Remember, Rides Must Be Booked a Minimum of 24 hours in Advance, or For Same Day Bookings, Give Us a Call at 970-920-4677. We want to thank everyone for a great 2018 season, Our last day was October 1st and we will be reopening when the snow melts next May. Check back after the new year to find early 2019 reservation discounts. 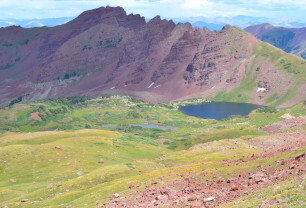 Explore the beautiful Colorado countryside with horseback guides and adventure tours in Aspen, Colorado, from Maroon Bells. Whether you want to try horseback riding for the first time with a short and relaxing ride, or you are looking for an exhilarating new adventure through the country, you will find both serenity and excitement during your ride. Witness the majestic mountains rising into clear skies, ride alongside a clear, winding stream and find a piece of paradise among the wildflower fields. Take a day ride through the fields and see the beauty and wonder hidden in the countryside. Schedule a day trip during your vacation to Colorado or organize a special trip for a romantic ride through the breathtaking scenery. 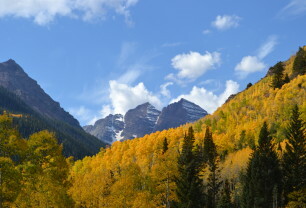 Maroon Bells lunch rides, romantic dinner rides and even overnight rides under the stars are available. Embark on a new adventure with your family and friends or join your sweetheart for an unforgettable trip through the most gorgeous countryside in the west. Take a look at the rides available to find your perfect trip, and contact Maroon Bells to make a reservation. Check out the wide variety of rides we offer and choose the one that's perfect for you! 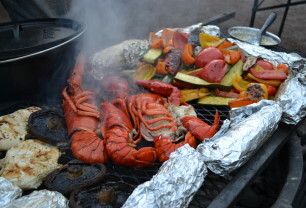 Join us this summer for an unforgettable evening of horseback riding and fine dining. 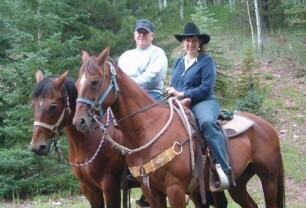 Saddle up and enjoy a two hour ride along the cool waters of Maroon Creek. These rides are for people who know they have to do a little more traveling to get to remote, exquisite places and are based out of our sister site near the Flattops Wilderness area. Find out exactly what you'll need to bring to make your experience the best it can possibly be!